After being threatened with a ban in Russia, end-to-end encrypted Telegram messaging app has finally agreed to register with new Russian Data Protection Laws, but its founder has assured that the company will not comply to share users' confidential data at any cost. Russia's communications watchdog Roskomnadzor had recently threatened to block Telegram if the service did not hand over information required to put the app on an official government list of information distributors. The Russian government requirement came following terrorists' suicide bombings that killed 15 people in Saint Petersburg in April in which terrorists allegedly used the Telegram's app to communicate and plot attacks. 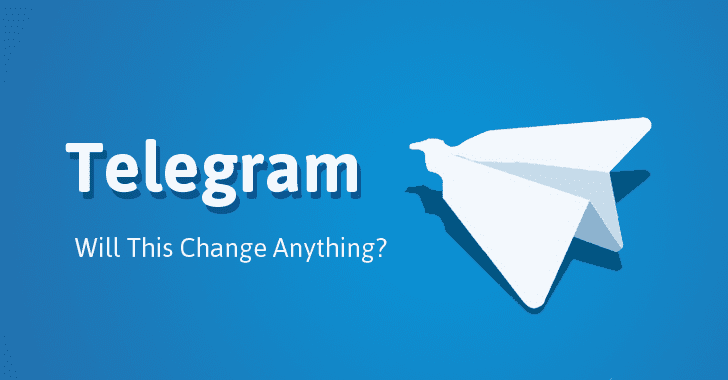 "There is one demand, and it is simple: to fill in a form with information on the company that controls Telegram," said Alexander Zharov, head of Roskomnadzor. "And to officially send it to Roskomnadzor to include this data in the registry of organizers of dissemination of information. In case of refusal… Telegram shall be blocked in Russia until we receive the needed information." Telegram CEO Pavel Durov refused to comply with the country's requirements because he feared that it would weaken the privacy of its over 6 Million Russian users. However, after facing pressure from the government, Durov agreed on Wednesday to just register with the Russian government, but the company wouldn't store citizens' information on the Russian servers. Roskomnadzor is a federal executive body in Russia responsible for overseeing the media, including the electronic media, mass communications, information technology and telecommunications; organizing the work of the radio-frequency service; and overseeing compliance with the law protecting the confidentiality of its users' personal data. Durov announced his decision via VK.com, the Russian version of Facebook, adding that while he's happy for Telegram to be formally registered in Russia, anything that violates users' privacy will not be served — only basic information about the company will be shared. If you are communicating with people on Telegram thinking that your chats are end-to-end encrypted by default, you are mistaken.